Heart Coaster is now available at my Etsy Shop. Valentine is coming up so get ready to give a heart to someone. 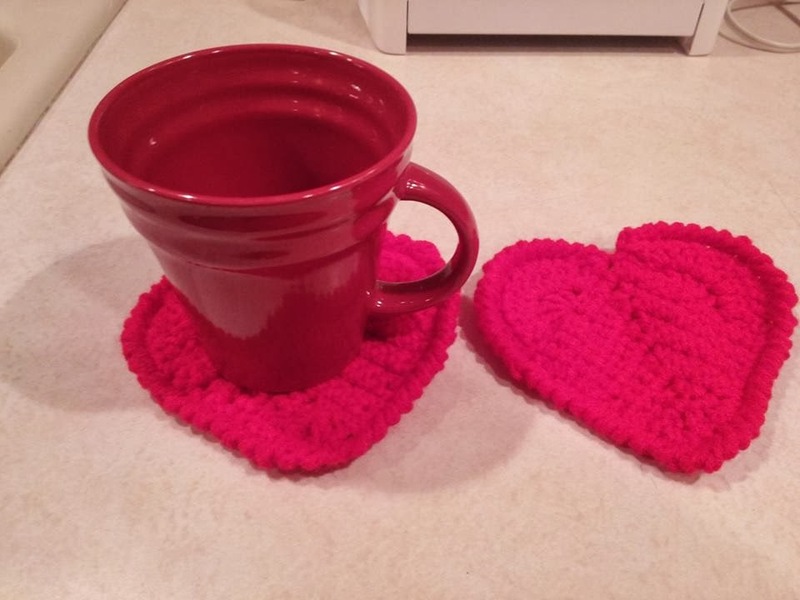 Check out my shop for new heart coasters that will be posted soon. If you would like to make it Click Here! Gosh! I try to come up ideas my mother use to make and try to look for them online but can't be found. She had original patterns. Some I learned from her but as years went by to busy in life. I forgot what she taught me. I should have write down her patterns. I miss my mom :( One day I will see her up there in heaven when we will crochet together again. I love you mom...I sure miss crocheting with you. Thanks for teaching me the basics.